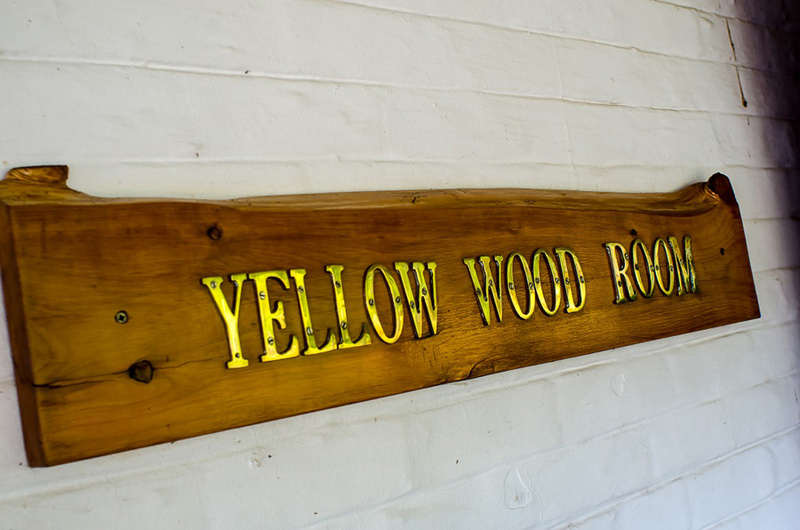 Loxley House boasts a State of the Art conference facility – The Yellow Wood Room – with two adjoining breakaway rooms – designed to cater for either large seminars and workshops, or smaller management meetings. With ample, secure parking, Loxley's conference facility is also ideal for for product launches, one-off seminars and presentations. 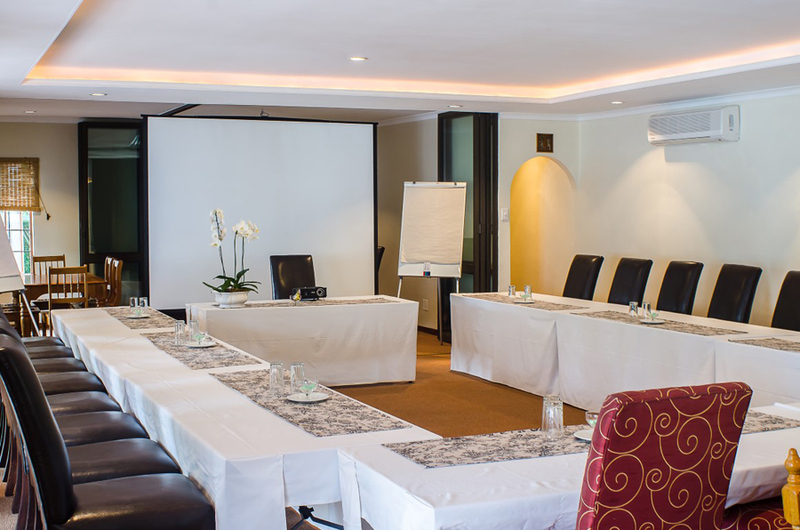 The venue is equipped with all standard conferencing equipment, and can accommodate groups of up to 40 delegates in multi-variable seating arrangements. The breakaway rooms are separated by mobile partitions, allowing for an increased floor area. Comfortable working conditions are assured with controlled heating and air-conditioning. Morning and afternoon cream tea's are enjoyed in the beautiful, landscaped gardens. 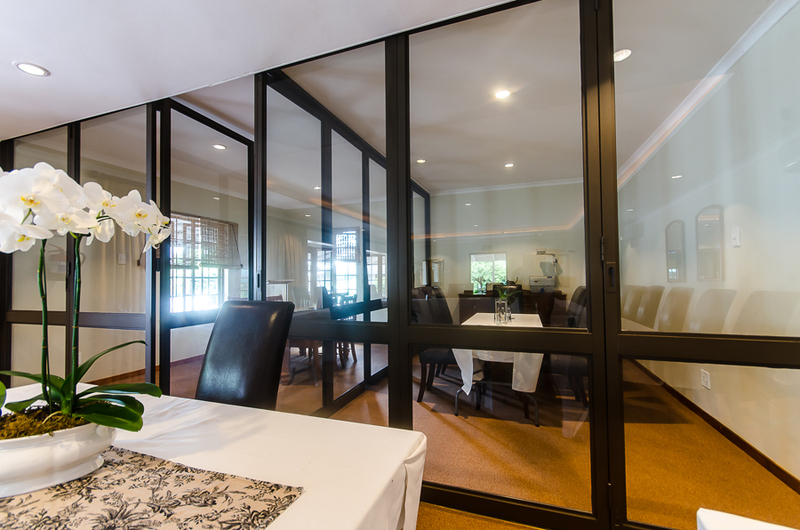 Superb meals (buffet or plated) are served in our well appointed dining room. Theme evenings, gala dinners, champagne breakfasts, potjiekos, braai's and spit-braai's organised by prior arrangement. 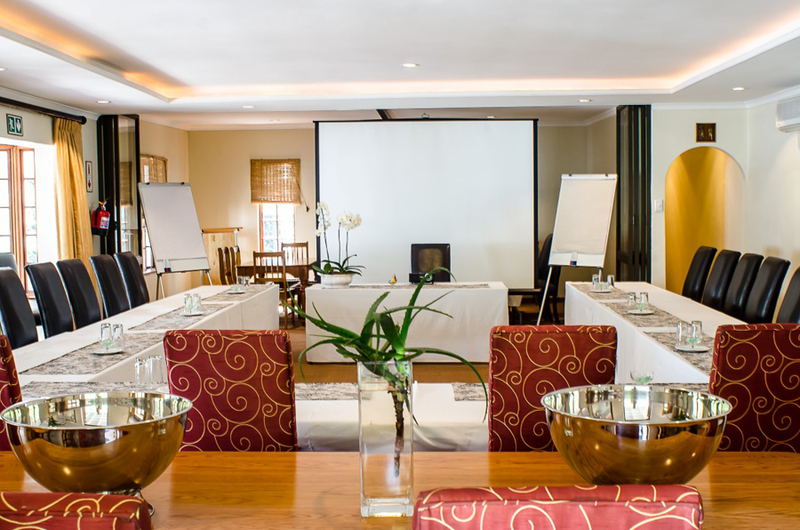 With over 16 years experience in both local and international conference management, contact us now to book an unforgettable conference experience! The above rate is inclusive of the following: welcome tea/coffee and eats, cream tea/coffee break, light luncheon, and fully equipped(*) state-of-the-art conference venue with adjoining breakaway rooms. 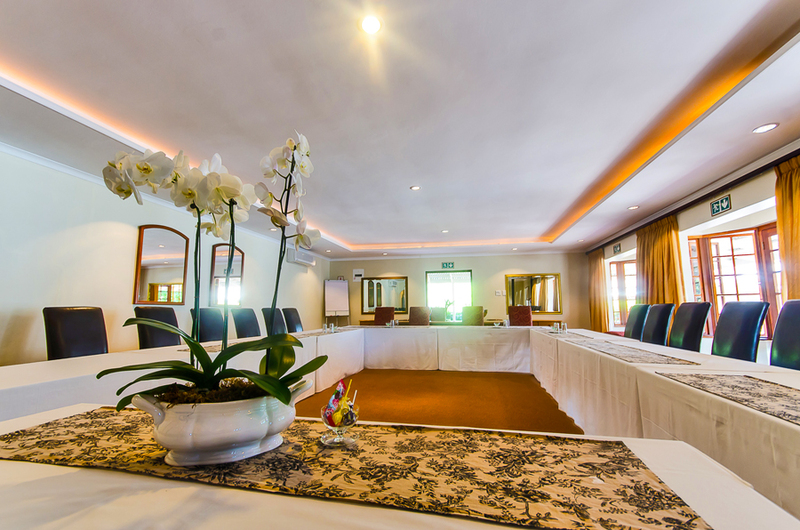 The above rate is inclusive of the following: welcome tea/coffee and eats, mid morning cream tea/coffee, light luncheon, mid afternoon cream tea/coffee, and fully equipped(*) state-of-the-art conference venue with adjoining breakaway rooms. 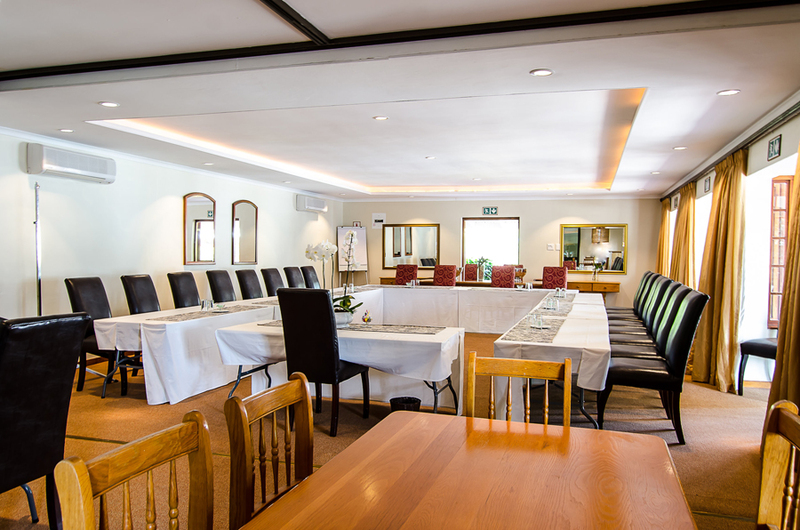 The above rate is inclusive of the following: welcome tea/coffee and eats, mid morning cream tea/coffee, luncheon, mid afternoon cream tea/coffee, dinner, accommodation, and fully equipped(*) state-of-the-art conference venue with adjoining breakaway rooms. (*) Standard conference equipment included in package: Lectern, Flip chart with paper and pens, Data projector, Laser pointer, Mobile screen, TV monitor, Video machine / DVD player, Writing pads and pens, Cordials / Iced water / mints. 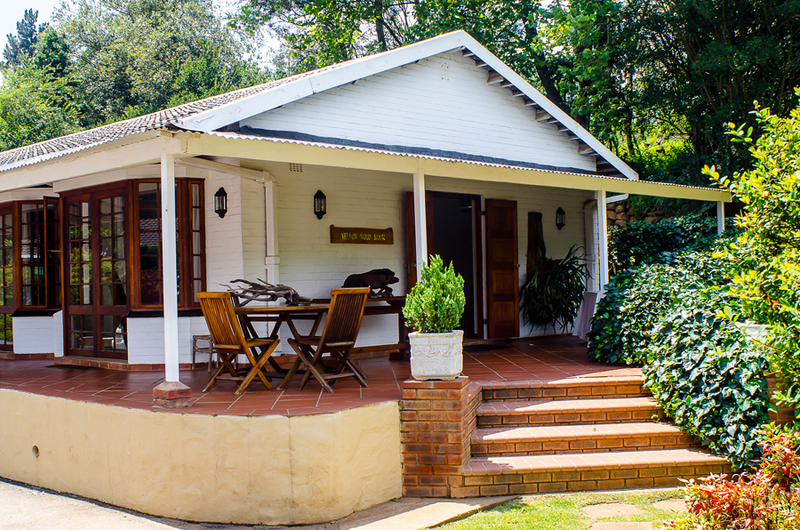 Balance of accommodation and extras payable on check out. Kindly note deposits are non–refundable. 100% of total booking payable if cancelled within 4 weeks of date of arrival.